The camera you have with you is your best camera. I remember reading that and thinking no, it can’t be. Surely, the expensive, top-of-the-range new Nikon is the best camera I have. Nonsense! The best camera is the one with you and nowadays it is my iPhone. What a fabulous invention this is. I do not think I could go a day without it. Its multi-function use makes it indispensable. It is the last thing I access before I sleep and the fist thing I power up when I wake. 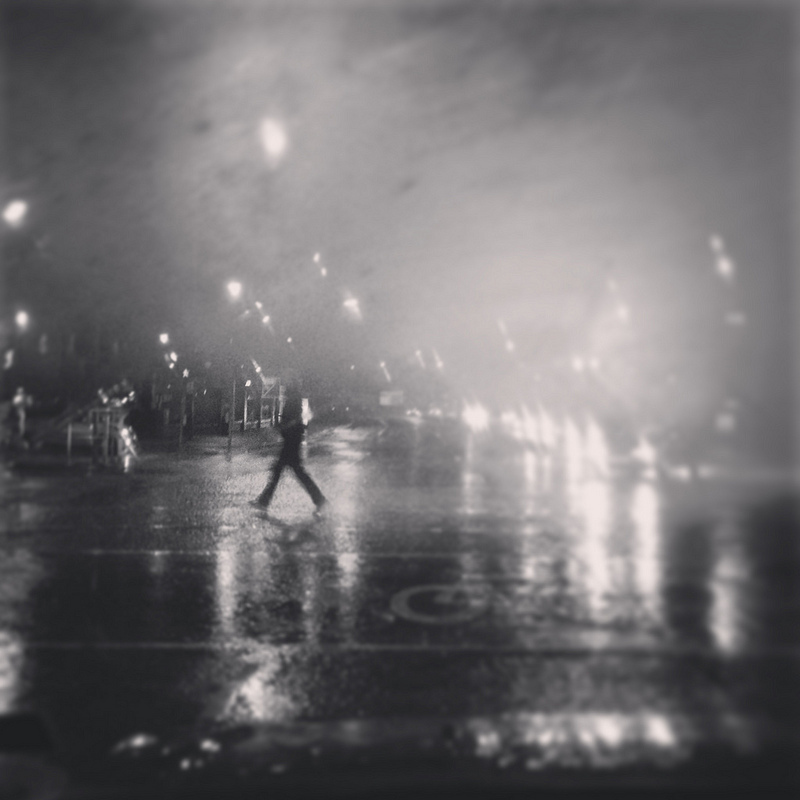 Looking back to March 2013, and the images taken with the iPhone in that month, the one that stands out for me is this one I took sitting in the front seat of my father’s car on a wild and stormy night in Cork. We were stopped at traffic lights, the rain was bucketing down, wind holwing and this guy was waiting for the green man to appear before crossing the road. I was watching him wait and realised that he would walk into a very nice frame, I got the iPhone out and instragrammed up and clicked as he passed. Lovely! It is still one of my favourite iPhone images, if not any type of image. This entry was posted in A Flickr Year, My own favourite photographs, photograph posts and tagged art, brendan ó, cork, End-of-year review, flickr, iphoneography, love, march 2013, people, photography, Rain, storms, street photography, wind.